Currux is a car subscription platform that allows Customers to subscribe to cars offered by Fleet Managers. What is a car subscription? The best way to think about it is as a long-term car rental or a short-term lease, but for less money and without the usual hassle, long term commitments, and down payments. Fleet Managers use the Currux marketplace to market and offer subscription-based access to their Fleets. Fleet Managers may offer additional Benefits such as concierge, maintenance, and insurance. If provided, Subscribers are able to choose which Benefits they want to subscribe to. How do I qualify for Subscription? In order to subscribe you need to be at least 18 years old, you must have a valid driver’s license ,and you have to be able to make payments for the subscriptions you apply for. Our services are currently only available in some areas of the USA. If you decide to purchase a subscription on our platform we will conduct a real time credit check (which will not affect your credit score) and Fleet Managers may conduct driving history checks. Unless included in your subscription plan, you will need to show adequate proof of insurance before taking possession of the car. You are able to search through the available subscriptions to apply for the ones you like. After you submit a request to subscribe for a certain Fleet, we will run a real time credit check (which will not affect your credit) and your request may be denied if you have insufficient credit for that particular subscription. If denied you will be prompted to select a less expensive subscription plan. In order to be successful in purchasing a subscription you have to meet all the requirements necessary to operate the vehicles from the Fleet. When your subscription is successfully processed, which should not take more than 10 seconds, we will charge your selected payment method for the first month's Subscription Fee. We will continue to charge the Subscription Fee as it becomes due monthly. Please see our Subscription Terms and Conditions Agreement to see what other costs may be charged. Currux may list vehicles on the Platform that will become available for subscription and these are called Model Cars. We want to know what vehicles our Users want and if you request a subscription for a Model Car we will seek to find a Fleet Manager that can provide such vehicle for subscription. As soon as requested Model Car is available on the Platform we will notify you that you are able to subscribe to this vehicle. Some Fleet Managers may provide certain Benefits together with their Fleet such as maintenance, insurance and concierge. You are free to choose whether you will subscribe to any of these Benefits, but some fleet may limit your options. Concierge is provided by some Fleet Managers and they serve as your personal chauffeur for a pre-determined number of hours per day depending on the plan you subscribe to. They are available only within certain time during the day and you utilize their services by using our digital Trip Planer on the Platform. Simply enter your route and schedule, request concierge for that trip and concierge will pick you up and drop you off as planned. You will take all reasonable care in handling and parking the vehicle, and make sure the vehicle is left securely locked when not in use. You are also responsible for maintenance of the vehicles. If maintenance is included in your subscription plan - routine maintenance, tire rotations, oil and filter changes, topping off fluid levels and inspections are covered by the Fleet Manager. Excess wear and tear such as small scratches, dings, dents, chipped windshields and worn tires is not covered under the maintenance plan and can be purchased for an additional $14.99 per month. You will have to service the vehicle only at authorized service facilities. If you are unsure where to take your vehicle for service, please contact your Fleet Manager. You are solely responsible for all damage or loss caused to others. You agree to provide auto liability, collision and comprehensive insurance covering you and Fleet Manager. You will have to insure the vehicle either through the Benefits offered by the Fleet Manager, Currux platform or independently. If you choose to acquire the insurance independently the insurance has to be comparable to Fleet Managers insurance if offered. In any case Fleet Manager has the right to decline to provide the Fleet if the insurance you acquired is not satisfactory. You will provide the Fleet Manager with the insurance no later than in the moment of pick-up of the Fleet. Your Fleet will be made available for your pickup within 7 business days of the approval of your subscription request. In case the Fleet Manager is late with making the vehicles available, you have the option to terminate the subscription and your subscription will be refunded net of Currux charges. You will need to drop-off the vehicles as requested by the Fleet Manager on the first day after the expiry of the subscription term. If you are more than 7 days late with drop-off, we will assume you have embezzled the vehicles and Fleet Managers may take appropriate legal actions. You may be charged late fees for each day you are late dropping-off the vehicles according to Fleet Manager rates. Each vehicle in the Fleet has a limit of 15,000 miles per 12 months. If you exceed this limit, Fleet Managers will charge additional 0.25$ per mile. If you want to terminate your subscription prior to the expiry of the Subscription period you will need to pay Early Termination Fee. Early Termination Fee is in the amount of one monthly Subscription Fee for subscription plans of 6 months and less, two monthly Subscription Fees for one year subscription plans and three monthly Subscription Fees for two year subscription plans and longer. A minimum of three months applies to all Subscription periods. Early Termination Fee does not replace monthly Subscription Fee that is due for the month in which the subscription is terminated. The same fees apply to each individual Subscriber in Joint Subscriptions. Early Termination Fee is due immediately, on the day of termination. Some Fleets may have an option for multiple simultaneous Subscriptions. When you opt in for a multiple subscription you will have one (1) hour for other Subscribers that you invited to join your Fleet to join the Joint Subscription. In the event that at the end of the hour the subscribers you invited to join your Fleet failed to complete purchase of the Joint Subscription on their end the Joint Subscription will not take place. Fleet Manager may offer a promotion for their Fleets which will include additional promotional period during which other Subscribers may join your subscription. When Fleet Managers offer a promotion, you will be able to choose a number of Subscribers, and during the promotion period, you will pay the Subscription Fee as if all Subscribers have joined the subscription. You will be able to invite people to join the subscription and to accept or decline requests to join the subscription. If you fail to find enough Subscribers for the selected Joint Subscription, the subscription will be adjusted for the actual number of Subscribers for your Fleet at the end of the promotion period. Joint Subscribers have an equal share of the Fleet. That means that all Subscribers can use the Fleet equally. It is very important that all Subscribers agree on the use of the Fleet so as to prevent any future disputes and follow CURRUX policies. We strongly encourage you to use our Trip Planer in order to schedule trips and efficiently manage overlapping trips and schedules. Neither Subscriber in Joint Subscription may use the vehicle in a way that would prevent the other Subscribers from enjoying their subscription to the fullest considering the number of the Subscribers. Any accessory left in the vehicle shall remain in the sole property of the Subscriber who placed it there, and other Subscribers may not use such accessory before obtaining prior permission. Accessories which limit the use of vehicle (such as designated seats for children) shall be removed before leaving the vehicle for other Subscribers unless agreed otherwise. Vehicles may not be used for carriage of passengers for hire or reward unless the vehicle is hired with the knowledge of the Fleet Manager for use in a passenger service licensed under appropriate laws. The driver of the vehicle must carry a valid driver license at all times. Smoke in the vehicle. There is a no-smoking policy in all vehicles unless otherwise specified by the Fleet Manager. A $150.00 grooming fee will be charged if the subscriber is in breach of the no-smoking policy. You agree to abide to all safety regulations, including seat belts and child safety restraints and equipment. You will not undertake any repairs or salvage without the authority of the Fleet Manager except to the extent that the repairs or salvage are necessary to prevent further damage to the vehicle or other property. You will ensure that no person interferes with the distance recorder or speedometer or, except in an emergency, any part of the engine, transmission, and braking or suspension system of the vehicle. How can I contact Currux? 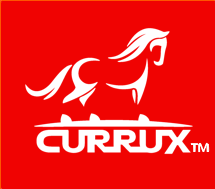 You can reach using the contact form on the site, by email to admin@currux.com or call us at 713- 955-6185. How can I join as a dealer?  In order to register on the Platform we have to verify and accept your request to register. When we accept your registration request, we will list your dealership on the Site and you will be able to post Fleets and other Benefits on the Platform. How will I be paid for my Fleets? Our Platform works in a way where we do not charge Subscribers for the use of our Services. All our fees and costs are contained in the Subscription Fee, so please keep that in mind when you choose the prices of your subscriptions. We will collect our part of the Subscription Fee directly from the Subscriber. We do this by utilizing Stripe services for payment, and upon approval of your registration we will create a designated account for you. When Subscriber pays the Subscription Fee, Stripe divides the amount collected from the Subscriber into two pieces, one is transfer directly to us and it includes our fees and costs, and the remaining amount is transfer to your account. Any other costs and fees such as early termination fee, grooming fee, late return fee and similar are transferred directly to your account. What vehicles may I list? All vehicles provided in the Fleets must be new or in excellent condition, not older than 5 years and under 50,000 miles. If during the term of this Agreement, any vehicle loses any of the properties necessary to be provided through the Platform, you will remove such vehicle from your listings except if Subscriber wants to renew their subscription with that particular vehicle. How can I track my vehicles? When the subscription becomes active we will provide you with the GPS devices which you will have to install into each vehicle in the Fleet. Through this device you will be able to monitor the vehicles location and to utilize the maps and scheduling service on the Platform. You may remove your account at any time simply by deleting all your listings on the Platform. If there is an active subscription in place, you may not delete your account prior to the expiry of the Subscription Period.